SDONA instructors have a collective wealth of experience in the realm of Search and Rescue. Our core group of instructors not only have the skills to teach, but they are actively engaged in the field as member of FEMA teams and local Search and Rescue teams from across the country. This real-world perspective and experience makes their instruction exceptionally valuable. SDONA also regularly brings in outside instructors that are leaders in their area of expertise to instruct on specialized topics such as water recovery, detection, and disaster. Bill Dotson began dog training in 1971 when he and his wife became interested in AKC obedience. He later transitioned to Schutzhund (German protection dog sport) in 1975 and then founded and was training director of the California Rescue Dog Association in 1977. He earned "Mission Ready" status with the Swiss Disaster Dog Association after training in Switzerland. From 1978 to 1980, he assisted the Davis California police department as a volunteer police dog team. After moving to Virginia, Bill joined Dogs East and was an operational member from 1982 to 1997. During his long canine career, Bill has responded to a very long list of national and international disasters. Because of his experience, he was tasked with assisting FEMA in the development of their criteria for FEMA Disaster Task Force dog teams. He also worked with Virginia Task Force 2 (VA-TF2) in the development of their K9 teams. Jackie McCarty started her career in Search and Rescue with Kentucky Search and Rescue Dogs in 1992. She has trained two dogs in wilderness & HRD and two dogs in live-find disaster to the operational level. The Falmouth, KY, flood in 1997 was her first disaster. Working that disaster made her realize the need to increase and standardize the education and training for SAR K9 teams. 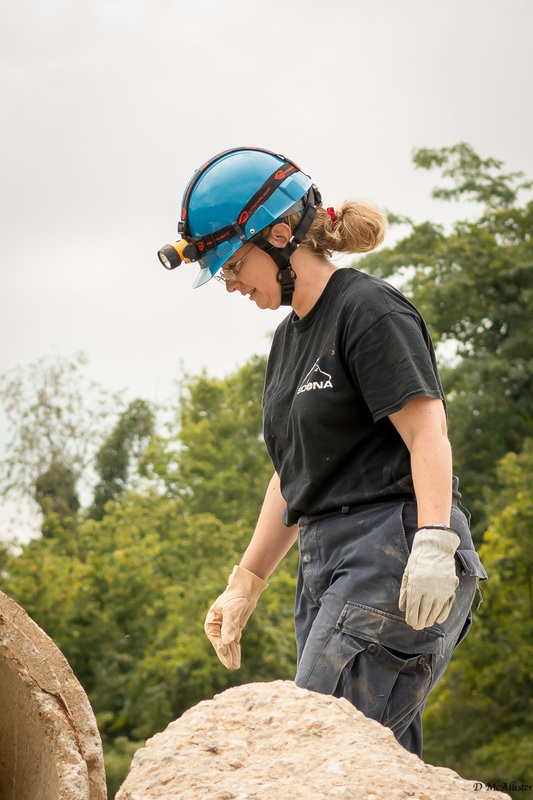 She transitioned exclusively to disaster dog work in 2005, and is a member of the Indiana Task Force One. She is currently working with her fifth SAR dog, Gabe, a 3-year-old Belgian Malinois. She is a disaster dog evaluator and has been deployed to several disasters including searching for survivors after Hurricane Katrina. Lynn Packard began training dogs as a Helper for Police Dog trainers in the 1990s. Since then she has worked with various SAR teams to learn what techniques worked best. She eventually found her home with IDK9, a nonprofit SAR K9 training group that was the predecessor to SDONA. Lynn has certified dogs through the North American Police Work Dog Association (NAPWDA) in tracking, evidence search, and area search. She is training her current K9, Gator, in IPO-R standards for Disaster Response and she recently began training her newest partner, a Dutch Shepherd puppy named Toby from Loganhaus Kennels. Cindy McArthur has been a volunteer SAR K9 handler with the Sheriff's Office in Arizona since 2000. She has been with the Coconino County Sheriff's SAR K9 Team in Flagstaff, AZ since 2009. She is a Lead Evaluator for NASAR in the disciplines of Area and HRD. Her NASAR certified K9s are dual purpose Area/HRD, searching in mostly rugged, forested wilderness settings. She has trained and certified 8 SAR K9s over the years who have performed hundreds of missions for the Sheriff's Office, accumulating numerous documented live, HR, and evidence finds. Joan Brehm began training SAR dogs in 1998 while living in Missoula, MT. She has been a volunteer K9 handler with the Missoula County Sheriff's Office, Weber County Sheriff (UT), Illinois Search Dogs, and is currently the Sergeant for the K9 Operations Team with the McLean County Emergency Management Agency in Illinois. She has trained and certified three SAR K9s (a Redbone /Lab mix, a Redbone Coonhound, and a Golden Retriever), and is currently working her fourth, a Golden Retriever puppy named Jessie, who is a single-purpose HRD K9. Her K9 partners have certified through the North American Police Work Dog Association, the International Police Work Dog Association, and the National Narcotics Detector Dog Association in a variety of disciplines, including avalanche, wilderness area search, disaster search, land and water human remains detection, and trailing. She has participated in hundreds of missions over the years with her K9s across the country and has also served on several international missions. Brianna Acevedo began involvement with search and rescue in June 2014, when becoming a member of Texas Search & Rescue (TEXSAR). After certifying her Belgian Malinois, Kovu, in area search with NASAR in October 2015, she applied and became a canine handler for Texas Task Force 1. Brianna certified under FEMA’s type 1 LF-CE in June 2017, as well as certifying her border collie, Snitch, for area search under NASAR. In 2018, Brianna certified her Belgian Malinois, Khrona, under NASAR’s HRD Other certification. Brianna has consistently responded to SAR deployments, including the Wimberly Floods of 2015, Hurricane Harvey in 2017, Hurricane Micheal in 2018, and numerous other local deployments. Brianna currently works full time training dogs for her private training business, Einstein K9 LLC, as well as doing detection contract work, and other occupations in the dog training field. Brianna also handles both narcotics and explosive detection dogs for contract searches for schools, prisons, stadiums, and other facilities.